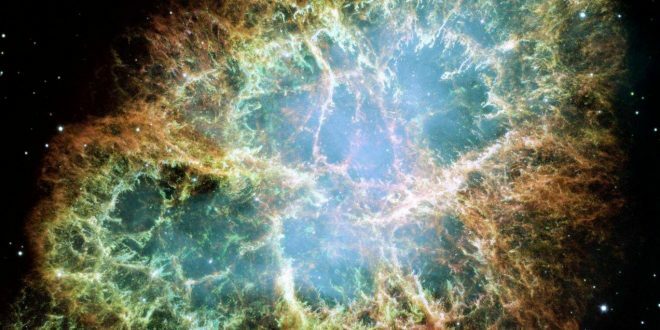 Space dust from deep in the cosmos containing alien bugs may have started life on Earth, researchers have claimed. According to new study from the University of Edinburgh, tiny Earth organisms might be able to hitch a ride on interplanetary dust and travel to other worlds. The research, soon to be published in the journal Astrobiology, looks at novel mechanisms for living organisms to spread from planet to planet. This concept, called panspermia, is often at the center of heated debates about how life formed on Earth and whether or not it formed elsewhere in our Solar System. Meteorites and asteroids were proposed as ways for microorganisms to fly into space, but according to study author Professor Arjun Berera, there’s another way. The scientist calculated how strong flows of space dust interact with the atmosphere. These flows move up to 70 kilometers (43 miles) per second and, according to Berera, this is enough to knock small particles from the Earth’s atmosphere and throw them into interplanetary space. To even have a chance to be flung into space, these “particles” have to already be floating at about 150 kilometers (93 miles) from the surface. This might seem like an awfully high altitude for living organisms to survive, but there are some sturdy players in the living world. Marine plankton and microorganisms have been discovered on the surface of the international space station, for example. The study is certainly interesting and it will definitely be debated in the wider aspects of the panspermia debate. But it is important to not interpret this as life on Earth colonizes other bodies in the Solar System. The researcher suggests this as a valid mechanism for microbial life to escape Earth’s gravity, but there are no strong implications on the capability of these microbes to survive powerful impacts with space dust. And even if they do, this doesn’t mean they can survive long periods in deep space.